America’s longest lasting sports car icon, the Corvette, first went into production in Flint, Michigan. on June 30, 1953. Since then, Corvette has become an American icon that continues to offer the arguably best in todayâ€™s technology and performance for the price. Over 1.5 million cars have been produced over the past sixty years. All 300 of the 1953 models were Polo White with a red interior and listed at $3,498. Since 1956, the sport scar has only been powered by V8 engines. 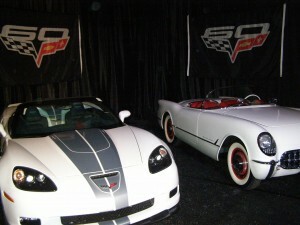 Corvette was available solely as a convertible for its first 10 years. Since 1981 Bowling Green, KY has been the birthplace for all Corvettes offering both a factory tour and a Corvette museum on the premises. Chevy’s Suburban is the only nameplate that has been in production longer in America.